Founded in 1972 by Ferdinando Montenegro as a specifically artisan sole proprietorship company, in forty years, Montenegro srl has become a significant business, structured and qualified in machining on behalf of third parties of cast iron castings and brass and aluminium die castings. 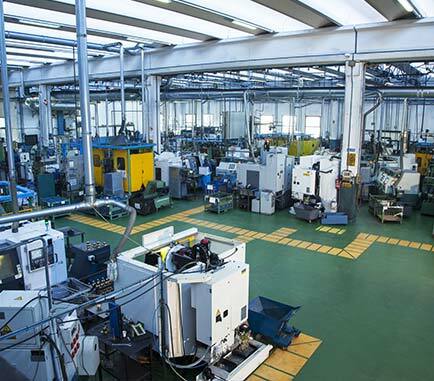 Over the years, the company has developed particular specialisation in machining components for the hydraulic pump, diesel transfer pump and electric motor sectors. Since 1992, Montenegro srl has operated in a 2000 square metre establishment and has twenty employees. The experience gained over the years enables the company to place particular focus on customer requests and meet them by ensuring precision and punctuality. The strength of the company is determined by the constant structural investments and state-of-the-art technology in order to guarantee increased quality and competitiveness.